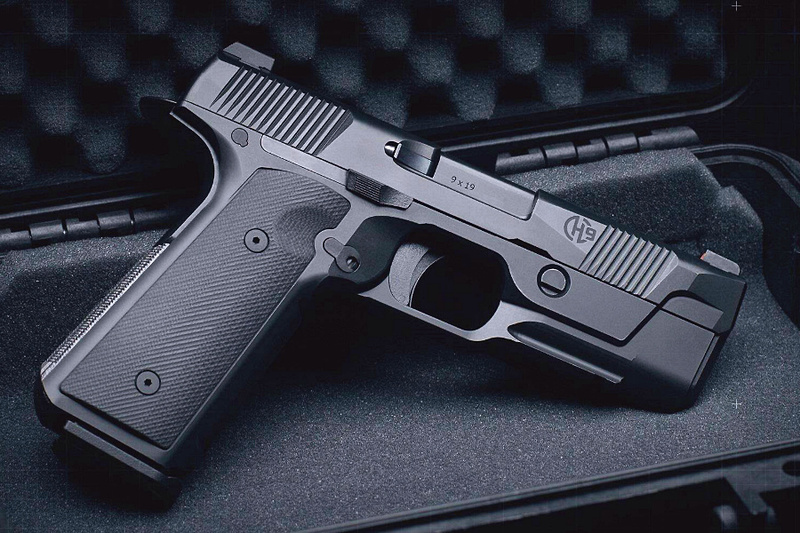 Hudson H9 Low-Bore-Axis Striker-Fired High-Capacity 9mm Combat/Tactical Pistol: Taking the 1911 Pistol Right into the 21st Century! | DefenseReview.com (DR): An online tactical technology and military defense technology magazine with particular focus on the latest and greatest tactical firearms news (tactical gun news), tactical gear news and tactical shooting news. 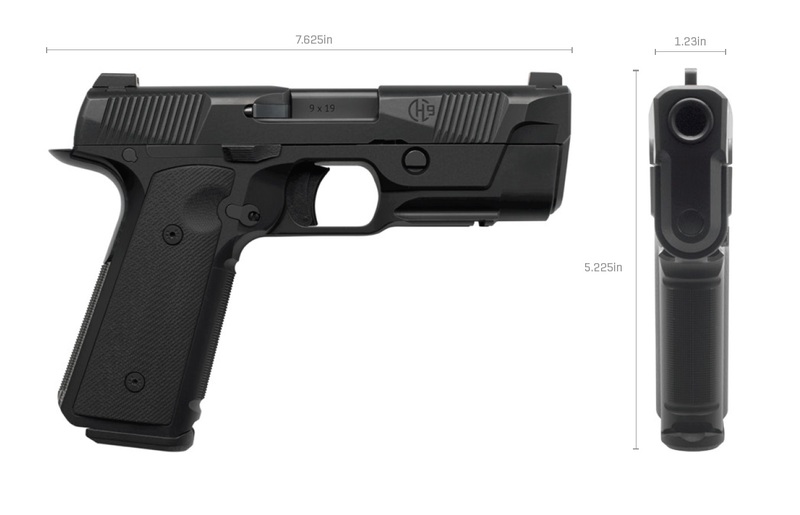 The Hudson H9 9mm pistol, recently revealed by Hudson Manufacturing and Recoil Magazine on the cusp of SHOT Show 2017 is arguably a perfect ballistic metaphor for President-Elect Donald J. Trump’s promise/pledge to make America great again. 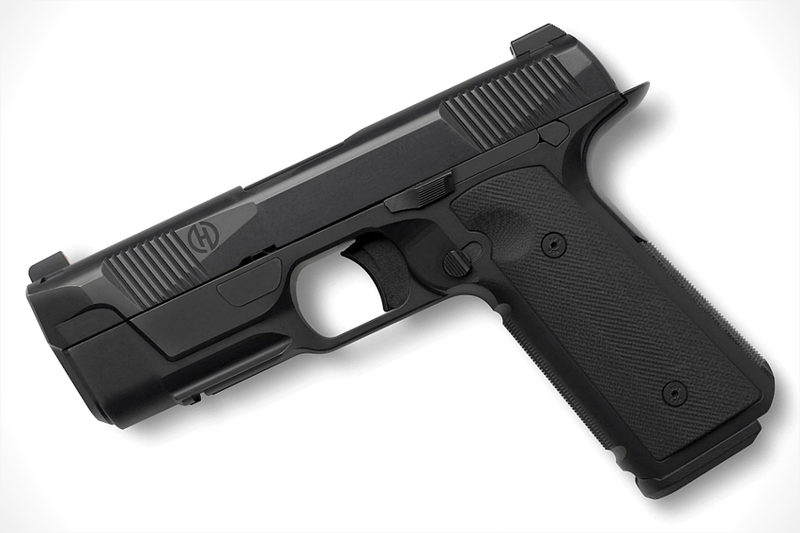 The essential goal would appear to design and manufacture the ultimate high-capacity 9mm combat/tactical pistol, and do it right here in America. 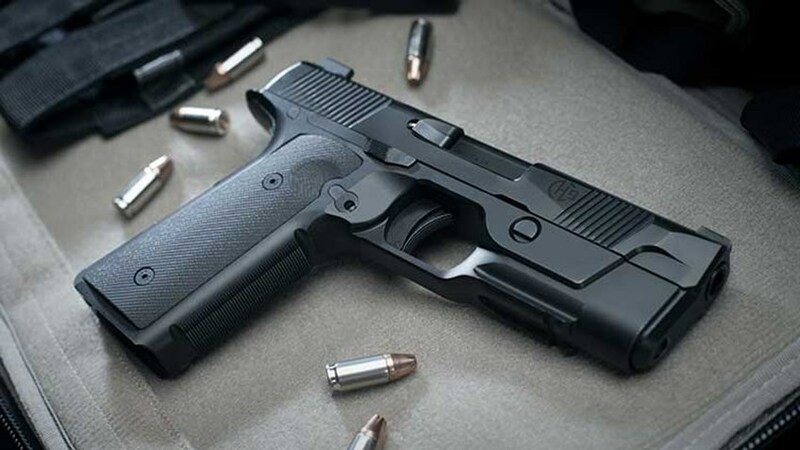 The high points: 1911 grip profile/angle, 1911-type sliding trigger, striker-fired, low bore axis, configurable safeties, ambi (ambidextrous) slide release and mag (magazine) release, interchangeable grips, and an accessory rail. Hudsom Mfg. claims the trigger pull has a “short take-up”, a crisp release, virtually no overtravel and a tactile but short reset,” and that the patent-pending integral trigger safety “is engaged instinctively and doesn’t take away from the smooth straight pull trigger that allows the shooter steadier and more consistent follow-up shots.” This is all god to read, and welcome news, if indeed true. 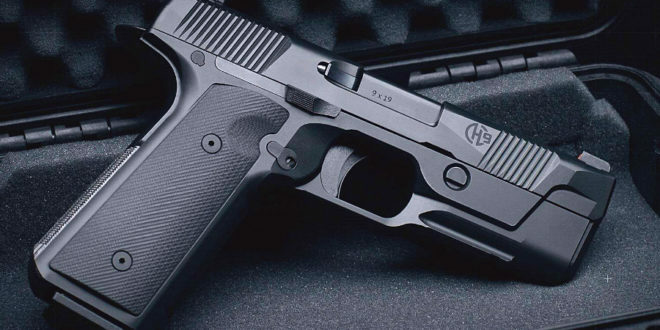 Whether or not the Hudson H9 ends up living up to its billing, in DefenseReview’s (DR) opinion, the company should be congratulated and even celebrated for designing, developing and introducing it to the marketplace, and for endeavoring to essentially create the best 9mm combat/tactical pistol ever. DR genuinely hopes they’ve succeeded in doing so, and that the H9’s accuracy, reliability, durability and trigger action (including the short pull and reset) either matches or exceeds our beloved Glock pistols, and specifically our Glock 19 (G19) carry guns. If it (H9) does, it’s a winner. 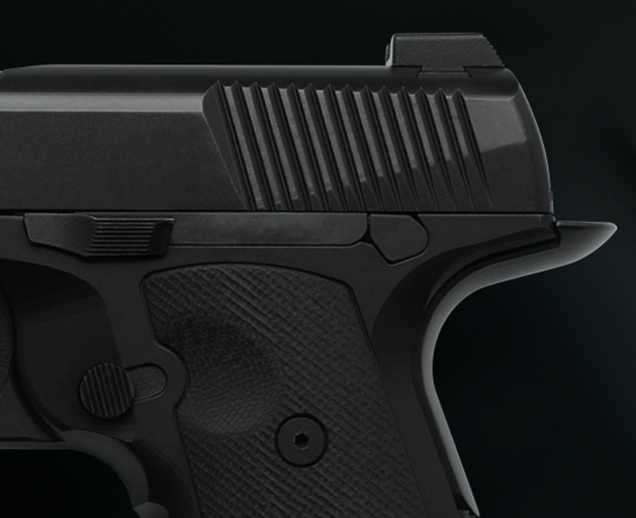 Regarding the H9’s trigger reset specifically, DR hopes the trigger eset has a tactile, positive (short) reset like the Glock pistols. We’re also hoping the H9 accepts/utilizes glock 9mm mags. This would be optimal. Defense Review is confident Hudson can do it. They’re Americans after all, and we’re entering the age of Trump, where anything is possible. 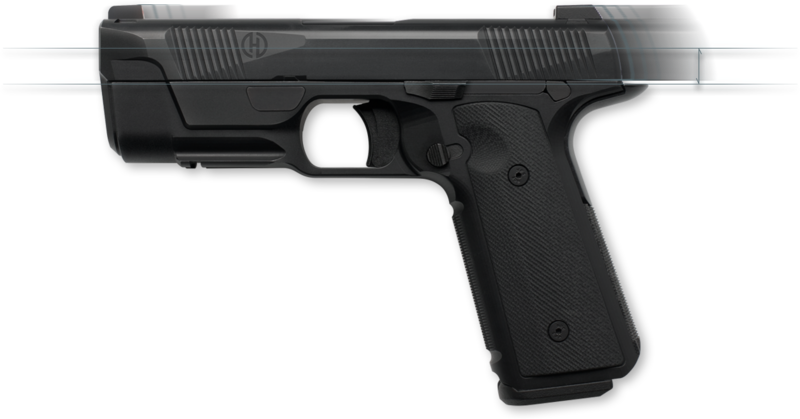 DR frankly loves the concept of a striker-fired, low-bore-axis 1911-profile pistol with 1911-type sliding trigger (and seemingly-nicely-executed extended beavertail grip tang), so we hope the Hudson H9 totally lives up tot the hype. We also hope there’s an H9C (Compact) in the works that doesn’t give up more than 2 or 3 rounds, max. We’d like the compact variant for concealed carry (CCW). The standard H9 holds 15 in the mag, which is good/adequate, although we’d have preferred 17-18 rounds (mag capacity) in a pistol of this size. Oh, and a (high-capacity) .45 ACP variant would be nice, too, if possible. Previous: DRD Tactical Aptus Weapon System 5.56mm NATO/300BLK (300 Blackout) Multi-Caliber SBR/PDW/Carbine/DMR Combat/Tactical Rifle System with Quick Change Barrel (QCB) System, Internal Recoil Sysstem, and Folding Stock! Next: DR Photos and Videos from SHOT Show 2017 Being Uploaded to our Instagram Page (Instagram.com/defrev or @defrev). Please follow us!